The second season of the recently revamped South African national Australian Rules football competition concluded recently with the Gauteng Province based team, Warriors, defeating the Nyanga Blue Birds team from the Western Cape Province. The new format commenced in 2014 and was considered a success as eight teams from across South Africa competed in a ten round format. There are two teams from each of four provinces – Gauteng, Western Cape, KwaZulu Natal and North West. 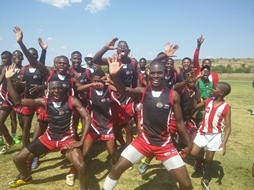 The Warriors and Blue Birds teams finished the home and away rounds in first and second place respectively, and met in the final which in the end was dominated by the Warriors on the scoreboard. Final scores saw Warriors 5 9 39 defeat the Nyanga Blue Birds 2 7 19. Earlier in the season the Giant Bees won their first ever game in the competition when they downed the young Super Owls team, made up of kids with no experience from Soweto. Whilst the Giant Bees took the points on the scoreboard, it is possible that the Soweto based Owls might yet be the biggest winner as more kids take up the game. For the present, however, the warriors continue to celebrate their success and will likely do so right up until Round One next season. 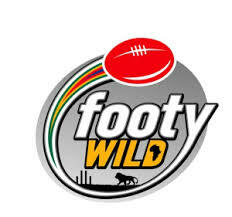 AFL Footywild in South Africa must also be celebrating as their competition continues to grow and develop.